Reuters: Cash-strapped Jet Airways Ltd. said late Tuesday it defaulted on debt payment to a consortium of Indian banks, prompting ratings agency ICRA to downgrade the carrier and sending its shares sharply lower. 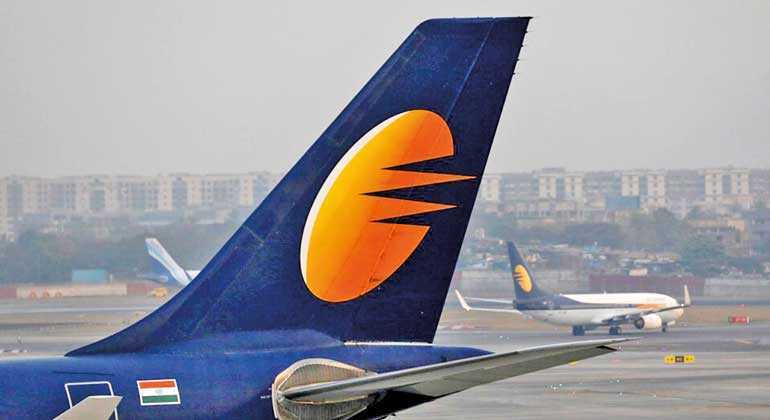 The payment of interest and principal instalment was delayed “due to temporary cash flow mismatch”, Jet said in a statement, adding that it was in talks with the consortium led by State Bank of India. The deadline for payment was Monday, 31 December. ICRA cut Jet’s long- and short-term ratings on Wednesday, citing the payment delays. Timely implementation of liquidity initiatives, including equity infusion and a stake sale in the airline’s loyalty program Jet Privilege, will be critical to the company’s credit profile, ICRA said. The 25-year-old airline is facing financial difficulties and owes money to pilots, lessors and vendors. Intense pricing competition, a weak rupee and rising fuel costs weighed on Indian airlines in 2018. Jet, India’s biggest full-service carrier by market share, had a debt of INR 80.52 billion ($1.15 billion) as of 30 September, 2018. Jet and its second-largest shareholder, Etihad Airways, are in talks with bankers on a rescue deal that may involve the Abu Dhabi-based airline increasing its stake from 24% at present. The airline’s shares declined as much as 5.6% in their sharpest intraday drop in over three weeks and were last down 5.3% at INR 265.80, as of 0835 GMT. The airline’s shares declined as much as 5.6% in their sharpest intraday drop in over three weeks and were last down 5.3% at 265.80 rupees, as of 0835 GMT.